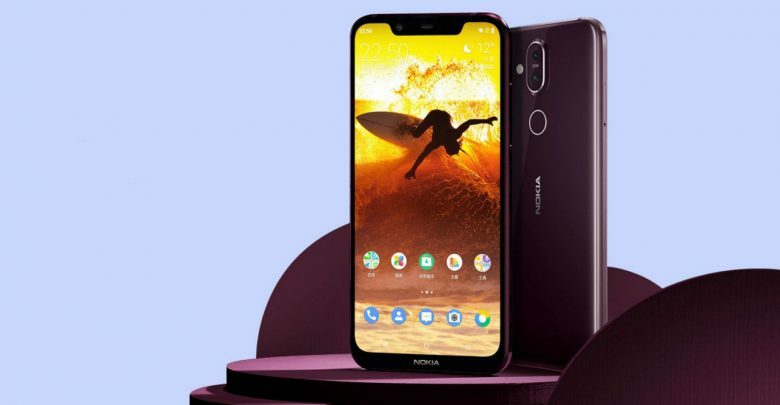 HMD Global today announced, the global variant of the Nokia X7, the device which was exclusive to China, the Nokia 8.1. The phone was revealed at launch event in Dubai on Wednesday. The 8.1 will be Nokia’s latest flagship and will be the successor to the Nokia 7 Plus. The Nokia 8.1 runs features dual-SIM and runs on stock Android 9 Pie and is a part Android One as well. The phone packs a 6.18-inch full-HD+ (1080×2244 pixels) display with an 18.7:9 aspect ratio, 81.5 percent screen-to-body ratio, HDR10 support, 500 nits peak brightness, and boasts a capability of 96 percent color gamut. Inside the device we have the octa-core Qualcomm Snapdragon 710 SoC clocked up to 2.2GHz, along with 4GB of LPDDR4x RAM. The camera is the most striking feature of the device. Speaking of the front camera, the 8.1 boasts a dual rear camera setup with Zeiss optics, with the primary one packing a 1/2.55-inch sensor, 1.4-micron pixels, OIS, EIS, 2PD (dual photodiode) tech, and dual-LED flash along with a secondary 13-megapixel lens for depth sensing.The front camera is a 20-megapixel fixed focus lens with 0.9-micron pixels, and 4-in-1 pixel tech which is aimed at delivering better pictures in low light. Nokia highlighted the camera’s Bothie feature. the Pro Camera UI, and the dual rear camera, which will allow users to use both front and rear camera to be used simultaneously, use a wide array of manual camera options and create portrait shots with bokeh effect respectively. Coming to the sensors, the 8.1 features an accelerometer, ambient light sensor, digital compass, gyroscope, and proximity sensor, along with a fingerprint sensor on the rear. The company claims that it is ” built out of 6000-Series aluminum that has diamond cut edges and has been through two anodizing processes”, as Gadget 360 reports. The phone features 64GB of inbuilt storage with expandable storage up to 400 GB, along with an array of connectivity options such as 4G VoLTE, Wi-Fi 802.11ac, VoWiFi, Bluetooth v5.0, GPS/ A-GPS, FM radio, a 3.5mm headphone jack, and USB Type-C port.